Last week during my time with Papa, I asked Him how He would like me to pray. He answered me with a name. As I prayed, words befitting how He saw that person were prayed – loved by Me, apple of My eye, perfect…As I continued to pray for others, the words of His love for each one was evident. How like our God to have us pray His love and destiny into a person instead of where they may be, at that time. As I looked at these words of love, I pondered those for whom I was praying, all a part of the Church home group my husband and I attend. In a week would be our Christmas party and I thought, “What a gift to give someone; words on how our God sees us.” I started to write out a list; it didn’t take long for me to complete this task. When these words are given out in our group, my prayer is that each one who draws a word from the basket, will receive just the right message to take into the New Year. Perhaps they will tape their word of love to the bathroom mirror to be read first thing each morning and last thing each night. This isn’t just about who we are in Christ, but how He sees us, what He says about us. PROTECTED! UNDER THE PINION OF HIS WINGS! MADE PURE BY HIS BLOOD! YOU WERE IN HIS HEART BEFORE THE FOUNDATION OF THE WORLD! 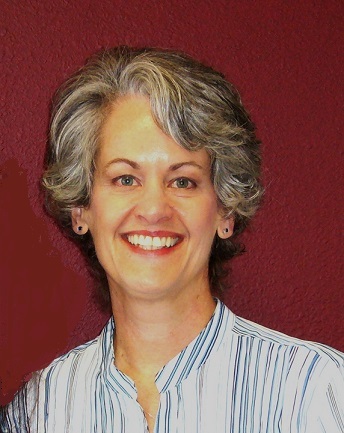 Debbie Powell is the IAHR Manager at the Spokane Headquarters.